It was January 1999 when I landed in St. Louis, Missouri. The weather was not what I expected, especially coming from the Caribbean Island of Dominica, where it is warm year ‘round. I was excited about travelling to the United States on a track and field scholarship. However, when I arrived, reality began to kick in. I remembered vividly that I wanted to return to the island because it was snowing and no one picked me up upon arrival. I was ill-prepared and poorly organized for cold, winter weather. No one told me what I should wear for cold weather, so I wore only a sweater on the plane. As a freshman, I had no idea the educational system in the United States was different. As an international student, I had so much to adjust to in college in another country. Some of the more critical adjustments early on were to know how to look up classes and register, manage my time wisely, study well and be disciplined. Adjusting to college life can be daunting psychologically, and as an international student, it adds another dimension with huge cultural differences. Taking care of myself was very different. I had to adjust to the weather because I came to campus at the start of the spring semester, when it was very cold. Fortunately, since I had been to the Swiss Alps once, I had some warm clothing and boots, too, so I would not slip on the ice. Being an international student from a warm country was one of the biggest transitions. Moreover, I had to learn a new educational system, as the Dominican system was completely different. I learned quickly how to use my resources on campus and met an upperclassman with experience, which was a huge help. He taught me how to navigate classes, the cafeteria and various buildings where my classes were held. I needed help, he provided me the support in my transition and my life became much easier. As a freshman, I did not rely heavily on an academic adviser but received advice from my peers who had already taken business courses. So, I knew what I needed to take for my business major. The student-athlete upperclassmen were my best resource. They saved me time in the long run, as they were very good at class scheduling and course management. They knew the curriculum and, more importantly, the professors’ different teaching styles. This was essential for freshman student-athletes because each learns differently. My upperclassmen peers and I met to peruse the university booklet to find courses that fit well with my student-athlete schedule. We discussed good class days and times, as well as which professors were the best fit for me. A freshman student-athlete who manages their time well will be successful. Time management takes courage, discipline and toughness. I always looked for value-added when planning and implementing my class schedule. I even factored in the time it took me to walk from one building to the next in order to give me more time. I used the time to recall what I learned during class. This methodology helped me remember and retain information from the class. I would not recommend that freshmen student-athletes socialize on a regular basis because the clock is ticking and you cannot afford to waste time. Every spare minute, I found myself in a library or with a peer or upper classman seeking help with assignments or study guides. As a freshman, it is essential to study well and not too hard. Revision, revision, revision. It is understandable that every freshman student-athlete is different and has their own unique way of studying. However, to be successful academically, one should study on a daily basis to keep your NCAA eligibility. This allows for consistency and discipline. To be a successful freshman student-athlete, one needs discipline. There must be a high level of focus and awareness, because a student-athlete failing to accomplish his or her goal could impact that individual’s career and life in general. The phone rang. It was my daughter, a D-1 student-athlete at a university renowned in sports and academics. I thought she was living the dream. I listened. My first response was panic. How do I fix this? How do I fix her? My second response was to calm myself and tell myself to just listen. Transitions are hard. Change is hard. Finding your place in a new university is hard. And being a student-athlete is hard. Young adults have more social and academic pressures today: time management, constant communication and constant self-assessment with social media, academic skills and scheduling. Add in athletics and the pressure is more than doubled. As a parent, it is important to support your student-athlete without helicoptering. This is the art of relational parenting. How you relate to your young adult child will help her be a successful, independent student-athlete. Those first eighteen years laid the foundation for your student-athlete to have success at the next level. A parent also needs to transition into a different role and adjust to the change in order to promote her success in academics and athletics. The foundation of relational parenting is unconditional love. It is the backbone of successful connection, for self-worth, self-esteem and confidence. It provides the platform for success and connection and enables a student-athlete to trust the process, make mistakes, move on and seek resources when needed. A parent becomes an adviser as you are finding a new way to relate to your student-athlete. Support, intention and focusing on their strengths, with strengths-based advising, allows your child the ability to develop critical thinking and utilize other resources to problem-solve. This will facilitate the development of confidence and independence. Listening skills and questioning skills are the bedrocks for this process. Your student-athlete is in the process of finding out who she is, where she fits in, her competitive desires, her friends, her classes, her major, her career. As a parent, it was important for me to be aware of this so that I did not make decisions for my daughter at this point in her life. Seguing into a role as a key adviser was an important part of the process. I set goals for myself so that I did not cross adult boundaries, and to recognize the tools I needed to use in order to be a holistic parent to an adult student-athlete. Holistic parenting supported my student-athlete while allowing her to prioritize and develop goals of her own. It is the key to independence and self-authorship. As I witnessed my daughter struggle and adapt to her transition into university and athletic life, the little victories and little defeats all added up to her continuing development. Toward student-development expert Marcia Baxter Magolda’s concept of self-authorship. Toward independence. Toward figuring life out on her own. She ratcheted up victories only to have a crisis and regress, but I knew she was making progress. It was important for me to recognize that I did not need to rush in and rescue her. Rescuing would only enable her, and I would broach the boundaries and goals I had set for parenting my collegiate student-athlete. It was important to allow her to learn from her sport, her environment, her peers, her coaches and her teachers. Those resources now took priority over me. I cannot stress the importance of questioning and listening. The importance of understanding your goals as a parent to guide, as well as to use and suggest the many resources on campus – as well as in their lives – that provide her an autonomous and necessary support system. It does not mean abandoning your student-athlete, but using a different skill set as a trusted adviser. This is the foundation of helping your student-athlete develop holistically and find success in collegiate academics and athletics. 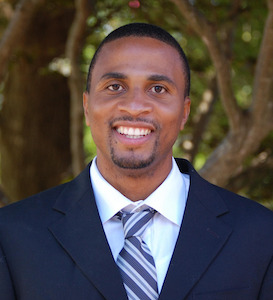 Sherwin E. James is a former student-athlete at the University of Idaho and assistant director of the Center for Advising & Retention at Clayton State University. 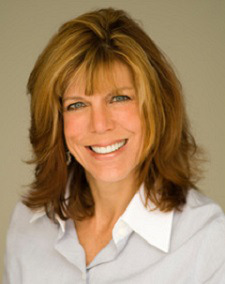 Joan Levis is the parent of a student-athlete at the University of Southern California.